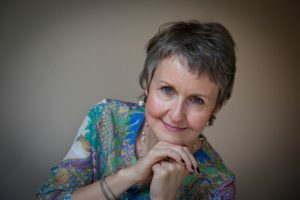 Helena Clayton is a leadership and coaching expert with over 20 years experience of making real lasting change. Her clients include Jaguar Land Rover, Capita, the Civil Service and Sovereign Housing. As a leader, you have enormous influence – so much more than you probably realise – and how you show up makes all the difference to how people feel as well as how they perform. That’s why I work with leaders of all levels, styles and specialisms to help them grow and become more of the leaders they need to be – for themselves, their people and their organisation. • Would you welcome a coach or ‘critical friend’ to support you as a leader? Maybe with a leadership transition? Or maybe you’d like to progress to the next level but don’t know how? Or are wanting to find new ways of working? Recognise that you need to show up differently? • Would you like your team to work more effectively together, be better than it currently is? Would you like the whole to be greater than the sum of its parts? For there to be more honest communication, or greater collaboration? • Or maybe you want to shift the culture of your leadership population and develop a particular strength in that group to move the organisation on? Or to create different culture in your organisation? Whether it’s coaching, team or leadership development, I can help you wake up to what matters – within yourself, your team, and across the wider business – and support you in making the change that’s needed. My clients are as diverse as Jaguar Land Rover, Capita, the Civil Service and Sovereign Housing. My work balances a solid psychological underpinning to address personal change with high-level systems thinking to ensure that my clients flourish within the bigger picture of their teams, organisations and lives. And a strong focus on behavioural practices to create and embed change. If you’d like some support on your own journey, don’t hesitate to drop me a line, I’d love to hear from you. Or sign up below for my Blog updates and keep in touch that way. What might be possible if we put more love at the heart of our organisations? Could love – whatever that might look like – be the difference? 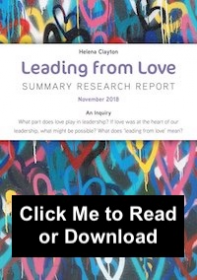 Why is love such a difficult concept to explore for leadership and organisations? You can read more on this new project here. One size doesn’t fit all. I tailor each project to each client, investing time up front to understand your goals and co-create a plan that we both feel completely confident in. It’s the principle of ‘go slow to go fast’. I don’t take things at face value. I ask lots (and lots!) of questions, exploring what’s not being said and what’s going on beneath the surface. Listening closely and feeding back what I hear reveals unexpected perspectives and possibilities. I am always compassionate. I may challenge, but I am never negative, and I remain deeply understanding of the difficulties involved in change. I build on what my clients already do well, support them practically and emotionally as they move towards new ways of being and help them to find the same sense of compassion in their own leadership.